What does it take to save a species? Join us for the Vancouver premiere of Isabelle Groc and Mike McKinlay’s Toad People (Canada, 2017, 76 mins). Produced by local grassroots environmental organization, Wilderness Committee. Every summer, thousands of fingernail-sized Western toads cover a rural road in the community of Ryder Lake in Chilliwack, British Columbia. When the toadlets migrate from their breeding ground in the wetlands into the forest, few make it to the other side of the road. 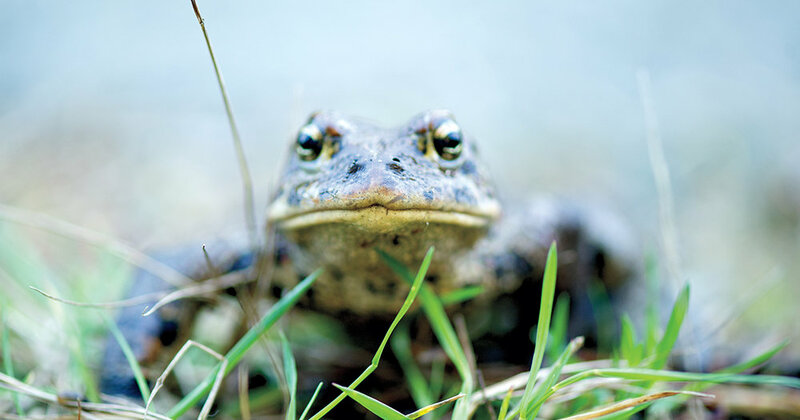 Western toads, like other amphibians in BC, are struggling because of habitat loss, climate change, and human interference. For local residents like Steve Clegg, who grew up catching tadpoles in nearby ponds, the rapid population decline is a cause for concern. The film will be followed by a discussion with special guests to be announced soon. Check back for details. Admission: $15 Adults, *$13 Students, Senior and MOV Members. *MOV members, students and seniors please be prepared to show your valid identification along with your ticket at the door. Tickets for this DOXA screening available exclusively online. Event ticket includes FREE admission to our feature exhibitions Wild Things: The Power of Nature in our Lives, There is Truth Here, Haida Now and c̓əsnaʔəm, the city before the city (reg. $19). Consider arriving early with your event ticket to view exhibits.